Featuring one of the most anticipated movies of the summer, the Suicide Squad Pin Mate Wooden Figure Set of 10 - Convention Exclusive from Bif Bang Pow! 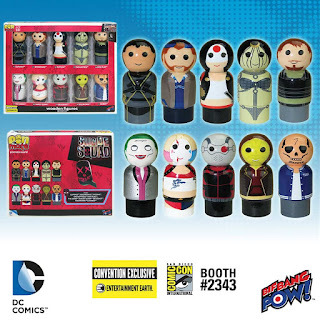 is set to wreak havoc while trying to save the day during San Diego Comic-Con at the Entertainment Earth Booth (#2343). A must-have for any DC Comics fan, this never-before-seen wooden figure set showcases 10 of the most sinister Super-Villians that are so bad they could be used for good. Individually numbered within the series, every figure is numbered on the bottom as well as on the packaging. SLIPKNOT™ is number 2; BOOMERANG™ is number 3; KATANA™ is number 4; ENCHANTRESS™ is number 5; RICK FLAG™ is number 6; THE JOKER™ is number 7; HARLEY QUINN™ is number 8; DEADSHOT™ is number 9; KILLER CROC™ is number 10; DIABLO™ is number 11. Designed in a retro-style and measuring a mere 2-inches tall, each figure is wrapped in 360-degree, hand-painted artwork that includes some decal elements. Limited to only 1500 sets, the personalized production of the hand-painted artwork gives each figure a one-of-a-kind authenticity that cannot be duplicated. Plus as an Entertainment Earth Convention Exclusive, each limited edition, movie-inspired set is individually numbered with a holographic sticker - making this already highly collectible set even more collectible! Ages 14 and up. 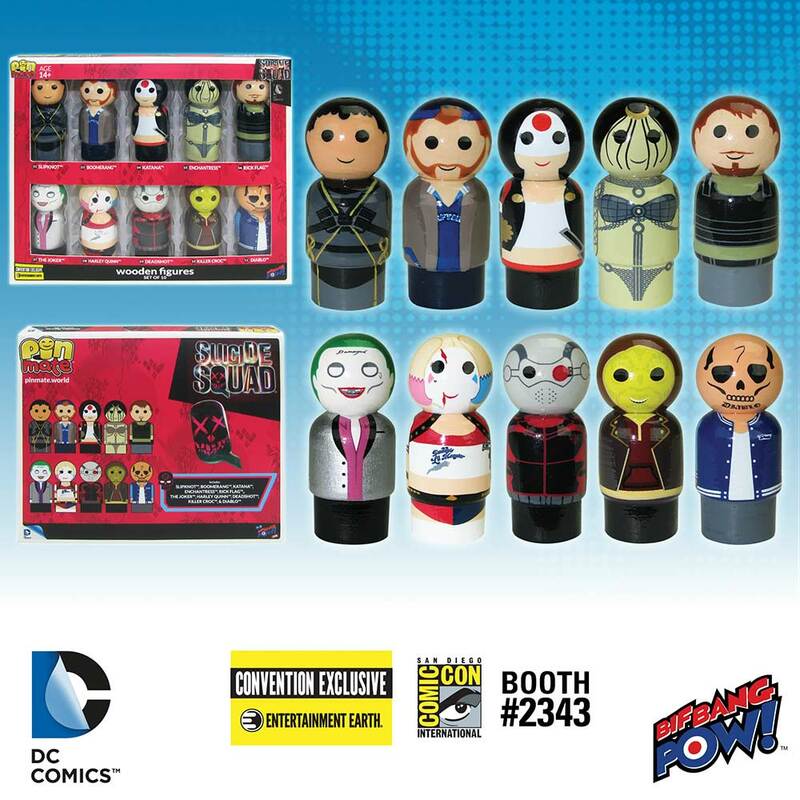 Available for the first time on July 20, 2016 at the Entertainment Earth booth #2343 at San Diego Comic-Con, fans will have the first opportunity to grab these individually numbered and limited edition exclusives! Not attending San Diego Comic-Con 2016? *PRE-ORDER at Entertainment Earth now! Continue to check Entertainment Earth for the latest convention exclusive news. See all Bif Bang Pow! 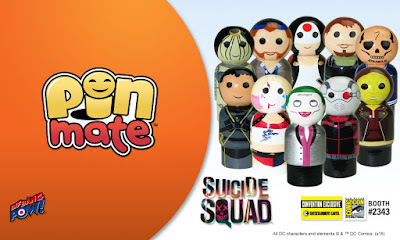 Pin Mate™ wooden figures - only at Entertainment Earth.